A mixture of exquisite coffees that encloses the hearts of different continents. 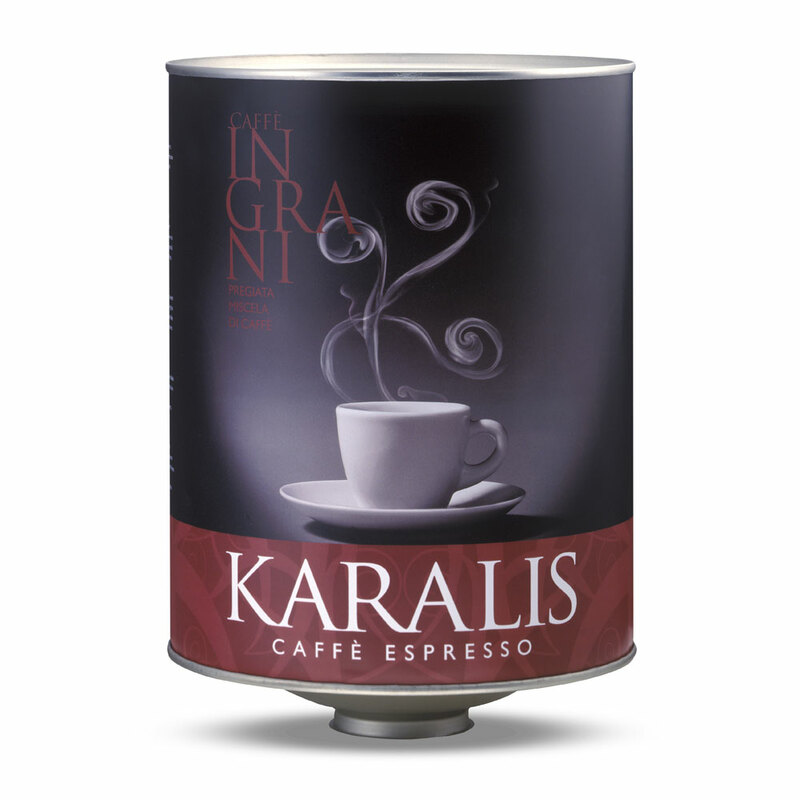 Karalis Coffee 3 Kg is a rich aroma espresso with a gentle taste, perfect for devotees of espresso coffee of the highest quality. An Italian classic toasting with a sweet taste embellished by a lingering floral aftertaste and ending on a pleasant acidic note. A blend of Arabic and Robusta coffee beans from Brazil, Guatemala, Costa Rica, Ethiopia and India, Karalis Coffee is the product of a perfect harmony between sweetness, subliminal acidity and aromatic fullness. Its medium-textured, soft and compact “crema” has an intense hazelnut color. The grains are packaged in 3 kilograms cans.